Isn't this the bridge in the Soprano's? Great shot...nicely cropped. I don't know. I think that is the George Washington bridge. 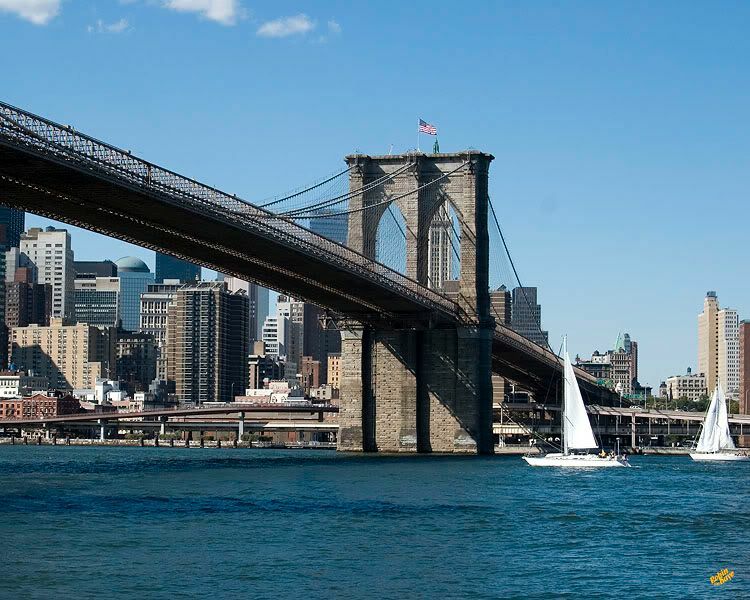 This is The Brooklyn Bridge from Manhattan to Brooklyn. Don't the Sopranos go from Manhattan to New Jersey. That is the George Washington. Was this taken on the trip to NY last year when you met up with Scott? Yes in fact we met Scott on the other side of the bridge. This is a great shot Robin, very nice composition too. Don't ya just love New York! I would go back anyday. Thanks Jan, Yes I love NY. I kept telling Charlie I would move there after my first visit. He said I was crazy and then after we went in Oct. he said I was not crazy he fell in love with the city too. So we would move there if we could find jobs that paid what it cost to live there. A girl can dream.